Another week… another cannabis rally. In 2018, we were showered with high-profile pot stock debuts. 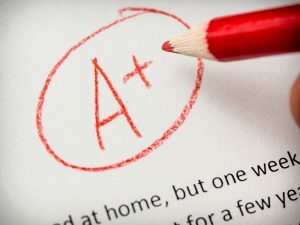 There was Acreage Holdings (OTC: ACRGF), Charlotte’s Web (OTC: CWBHF), MedMen Enterprises (OTC: MMNFF), The Green Organic Dutchman (OTC: TGODF) and Tilray (Nasdaq: TLRY) – just to name a few. Well, last week, we got our first high-profile cannabis IPO of 2019: Slang Worldwide (CSE: SLNG). Slang is a little different from other pot stocks… It does produce in Canada, but it’s focused mostly on brands and distribution. And it’s looking to gobble up attractive assets for its portfolio. At the moment, it operates in 10 U.S. states and plans to be in 10 more by the end of the year. But like so many cannabis companies, it’s wriggling its way into those emerging international markets. Right now it’s selling on five continents through 2,600 retail locations. Of course, Slang’s real claim to fame is that it’s backed by industry giant Canopy Growth Corp. (NYSE: CGC). And Canopy has the right to acquire 32 million shares of Slang if the U.S. legalizes marijuana at the federal level (another one of Canopy’s backdoor deals into the U.S. market). Slang recently bought Colorado vape pen and packaged goods company Organa Brands for more than $200 million. This is big since Organa was seen as a likely IPO candidate. Through its popular O.penVAPE, Bakked and District Edibles brands, it sells one product in the U.S. every four seconds. O.penVAPE is the best-selling brand in Colorado, totaling $170 million in sales since 2014. Now Slang is claiming its stake in the edibles space. A lot of pot stocks are, including Dixie Brands (OTC: DXBR) – a debut I told you to watch a couple months ago. But Slang wasn’t the only big IPO recently. We also had PharmaCielo (TSXV: PCLO). This is interesting as it’s a Canadian company that cultivates and processes cannabis oils and extracts in Colombia. It’s a massive player, currently boasting 1.3 million square feet of grow space. But it has 15 million square feet of cultivation capacity. That would make it the largest grower in the world. PharmaCielo plans to ramp up production of cannabidiol (CBD) and tetrahydrocannabinol (THC) extracts in the first half of 2019. Shares haven’t gotten off to as hot of a start as Slang’s, but they’re worth keeping an eye on. They’re trading around CA$8, down from their CA$9.90 debut. Cannabis stocks are soaring in 2019. The Horizons Marijuana & Life Sciences ETF (OTC: HMLSF) is up more than 40% in the past month. So how can you tell if your pot stock is overvalued? 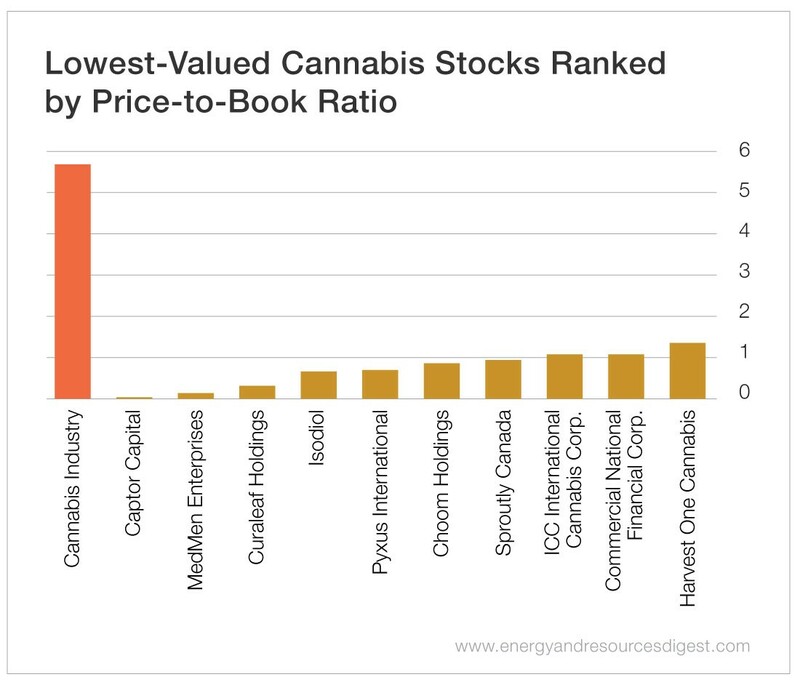 Last week, my team and I compiled pot stocks by their price-to-sales (P/S) ratios. So this week, we looked at price-to-book (P/B) ratios. Like most valuation metrics, P/B ratio varies from industry to industry. There’s no real magic number. So you want to focus on companies that trade below their industry averages and be more cautious of those trading above. Now, we found the cannabis industry average P/B ratio was 5.6. There are a lot of dispensary and CBD companies on that list. It’s worth noting that Vitalibis (OTC: VCBD) was also our highest cannabis stock by P/S last week, and Tilray was on that list as well. 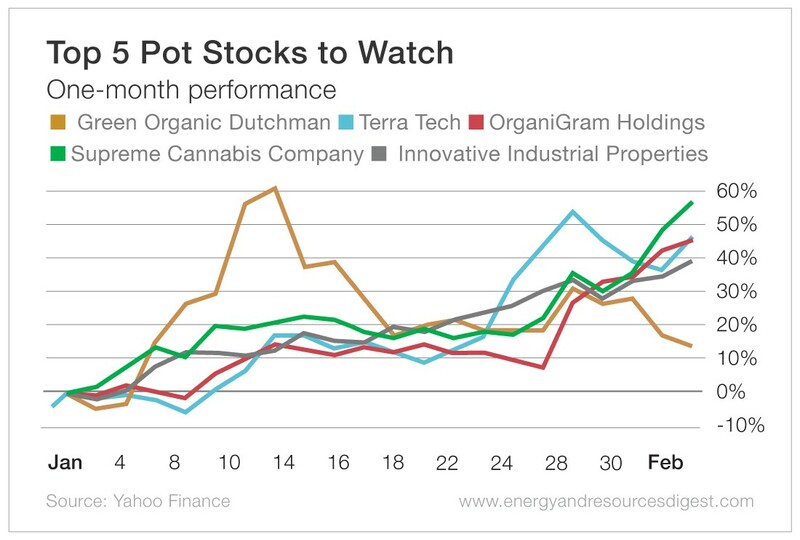 1) The Green Organic Dutchman (OTC: TGODF): This company has made a number of headlines recently. It is weighing a 74 million euro investment in a 34-acre property in Thebes, Greece. This would be a state-of-the-art cultivation facility and would be used for pharmaceutical hemp and cannabis as the company continues its expansion in Europe. Green Organic Dutchman’s Danish operations also received a cultivation license recently. Shares have gained 47.5% in the past month. But they’re well below their 52-week high of $7.89. 2) Terra Tech (OTC: TRTC): I’ve talked about Terra Tech a couple times in recent months. But in January, it had the grand opening of its Blum San Leandro medical cannabis dispensary. This is a historic moment as it’s the first medical dispensary to open in the suburb of San Francisco and Oakland. This dispensary has been six years in the making. So this is some good news for a company that has struggled with falling revenue for a couple of quarters. Shares of Terra Tech have been butchered over the past year, falling more than 83%. But they’ve gained more than 18% over the past month. Though they’re still light-years away from their 52-week high of $5.74. 3) Supreme Cannabis (OTC: SPRWF; TSX: FIRE): I’ve received some emails about this one recently… and the timing couldn’t be better. Shares of the company will begin trading on the Toronto Stock Exchange today! The Canadian producer is moving up from TSX Venture. Its 7Acres label received “Brand of the Year” in 2018 at the Canadian Cannabis Awards. And Supreme’s license space at its 7Acres facility was just increased to 120,000 square feet. This will increase its growing capacity from 13,300 kilograms to 17,500 kilograms. Shares of Supreme are on FIRE… up more than 57% in the past month. And they’re closing in on their 52-week high of $2.04. 4) OrganiGram Holdings (OTC: OGRMF): Speaking of new highs, one of my favorite Canadian producers, OrganiGram, notched a major milestone last week: It produced its 1 millionth cannabis pre-roll. On top of that, the company announced its first quarter revenue surged 419% year over year to $9.39 million. This was also a 287% sequential increase from its fourth quarter of 2018. Shares of OrganiGram are up more than 45% in the past month. And they’re inching closer to their 52-week high of $6.68, set back in September. 5) Innovative Industrial Properties (NYSE: IIPR): This real estate investment trust is setting new 52-week highs. It specializes in cannabis facilities, and its share price has been on a tear over the past month, gaining more than 40%. I’ve talked about it here in the past as a safety play for the industry. It offers a 2.26% dividend yield – a rarity among pot stocks. So when investors are spooked and rushing for safety, Innovative Industrial Properties wins. And when the cannabis industry takes off, it sails high as well. It could also be an under-the-radar winner in the New York legalization move. It currently has two leased properties in the state but could seek out more if recreational legalization was passed. The S&P 500 and Dow Jones Industrial Average enjoyed their best January since 1987, gaining more than 7% each last month. It was another week of strong performance from cannabis companies. Not to mention another round of big debuts. The sector is poised to have another exciting year in 2019. And we’ll be there every step of the way. 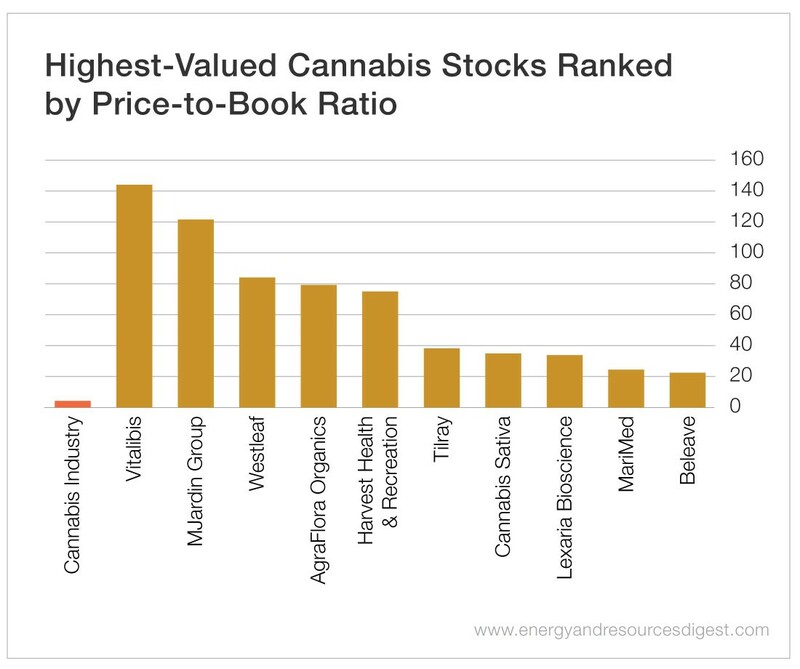 The post Pot Stocks Ranked by Price-to-Book Ratio appeared first on Energy and Resources Digest.